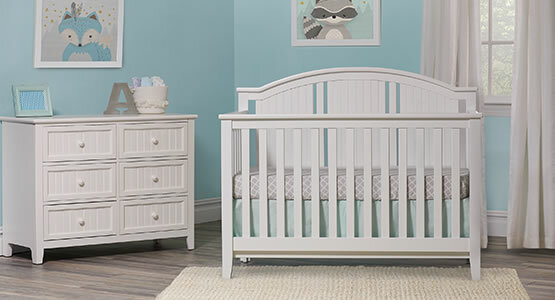 The Anaheim collection is a fresh and stylish update to the traditional cottage look, featuring our 4-in-1 Lifetime ™ crib. The coastal beadboard design detail on the crib and matching 6-drawer double dresser is the perfect center piece for your child’s cozy sanctuary. The 4 in 1 design allows your child to transition through life with ease as the crib converts to a toddler bed, day bed and full size bed with the addition of the guard rail and conversion kit. Designed to grow with your child so this charming look can be enjoyed for years to come. 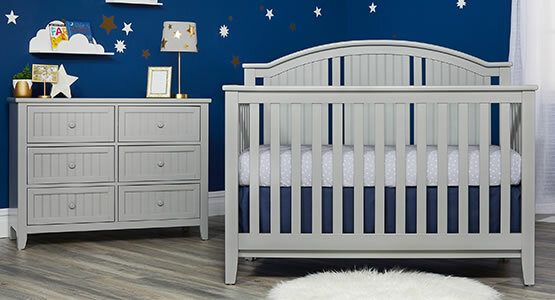 The 4-in-1 Lifetime™ crib is designed to grow with your child through the years. The crib seamlessly converts into an elegant toddler bed, day bed, or full-size bed with the purchases of a guardrail and conversion kit.